Unfortunately, dog bite injuries are among the most devastating types of personal injuries. If you have a dog, you’re in good company. The ASPCA says there are about 78 million four-legged companions in the United States, and approximately 44 percent of American households have a furry family member. And while most dogs are well-behaved and safe, they are still animals with an animal’s instincts to protect, defend, and lash out when they perceive they’re being threatened. Unfortunately, dog bite injuries are among the most devastating types of personal injuries. A dog’s teeth can tear skin, penetrate muscle, and destroy nerves. According to NPR, dog bite injuries are also on the rise — especially among postal workers. What do online shopping and dog bite injuries have to do with each other? It may sound like the opening of a joke, but it’s no laughing matter. According to an NPR report, dog attacks among postal workers have jumped in the past year. The culprit? A growing number of Americans shopping online instead of at retail stores. The USPS says its workers suffered 6,755 dog bite injuries in 2016, which is 200 more than in the previous year. Certain cities experienced more postal worker dog bite attacks than others. For example, there were 80 dog bite attacks in Los Angeles. Other cities with a sharp increase in dog bite attacks include Houston, San Diego, and Louisville. Dog bites are also on the rise among UPS workers, who suffered 900 dog bites in 2016. Whether you’re an animal lover or prefer to remain pet-free, it’s a fact that nearly half of U.S. households own a dog. For this reason, it’s important to be vigilant whenever you’re around dogs or other types of animals. Know dog “body language” – Learn to recognize the signs of an aggressive dog. Dogs who feel threatened will put their ears back, show their teeth, and bark. They may even wag their tails, which can be confusing, as many dogs also wag their tails when they’re happy. Keep kids in sight – Never allow a child to play with a dog unattended. Small children don’t always understand the difference between a playful and an irritated dog. Even if the dog is a family pet, make sure you’re nearby if a child is interacting with a dog. Teach kids the proper way to react – It is human instinct to run when faced with danger. However, dogs will chase a person if they run. Teach children to remain very still and to avoid eye contact with an aggressive dog. Experts say kids should also be taught to curl into a ball with their fingers laced around their head and over their ears if a dog knocks them to the ground. In most cases, dogs will sniff at the child, lose interest, and walk away. If you or your child has been injured by a dog bite, you may be entitled to compensation for your injuries and other losses. 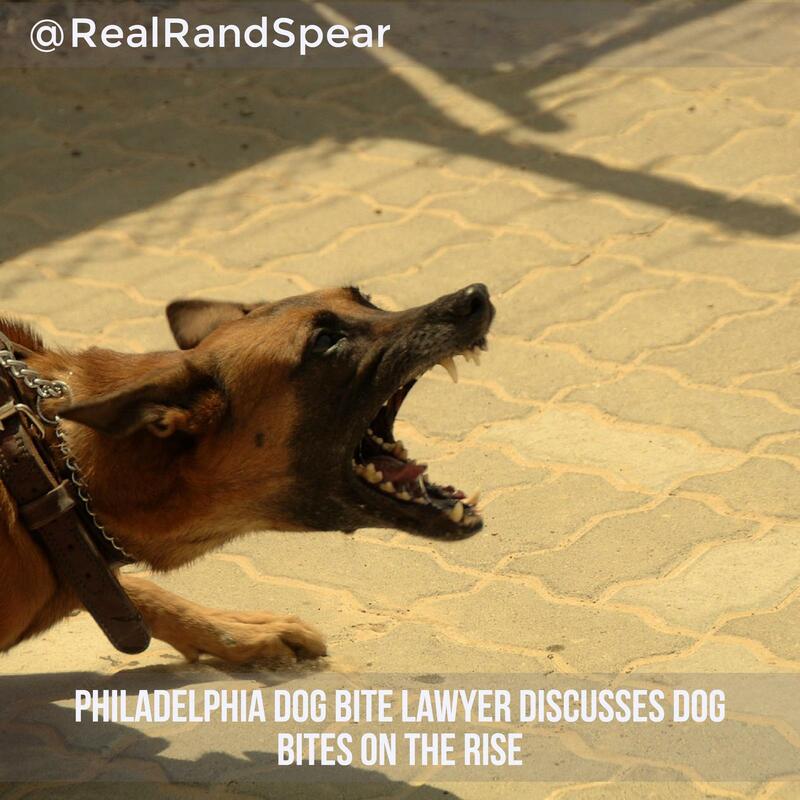 Discuss your options and the next steps in your case with Philadelphia and New Jersey dog bite lawyer Rand Spear today at 888-373-4LAW.